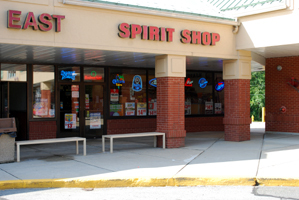 Bombadil's Spirit shop is conveniently located in the Big Y Plaza next to Brookside Mall in Mansfield Center. We offer a wide variety of quality wines from all over the world. 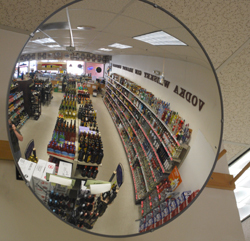 Our goal is to stock the best wines available at affordable price points. In addition to our wines, Bombadil's has large selections of liquors, beers, mixers, champagne, cordials, cigarettes and more. Get the beer, wine, champagne, liquor, cordials, and mixers you need at Bombadil's Spirit Shop. 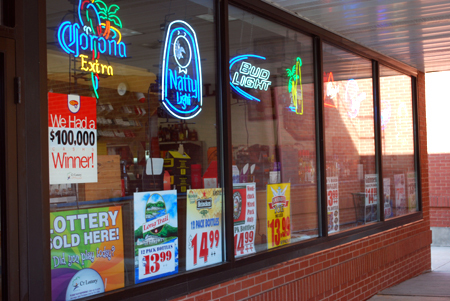 Our neon lights are on 6 days a week. We are close to UCONN and welcome customers 21 and over.